Thank you to My Pacific Pearls for providing me with a sample. All opinions are my own. Every woman loves to feel beautiful, whether it’s through a new outfit, the right makeup or getting out hair done. However nothing seems to compliment a woman more then wearing the right jewelry. The right necklace or earrings can make an outfit and bring out the best in her features! Thankfully My Pacific Pearls understands that women love jewelry that will turn heads and what better to do that then wearing gorgeous pearls! Offering everything from necklaces to earrings and bracelets, My Pacific Pearls is the perfect online retailer to find stunning pearl jewelry at any price point. The Pearls arrive safely placed in a velvet lined box and also included a carrying bag. I love the pastel colors of the pearls! The pink and peach really stand out and give the necklace a timeless look, not to mention a style that can be worn year round. I also really like that the pearls are strung with double knotted and double stranded silk, making the necklace more durable. One of my favorite thing about pearls is that the more you wear them, the more they shine! 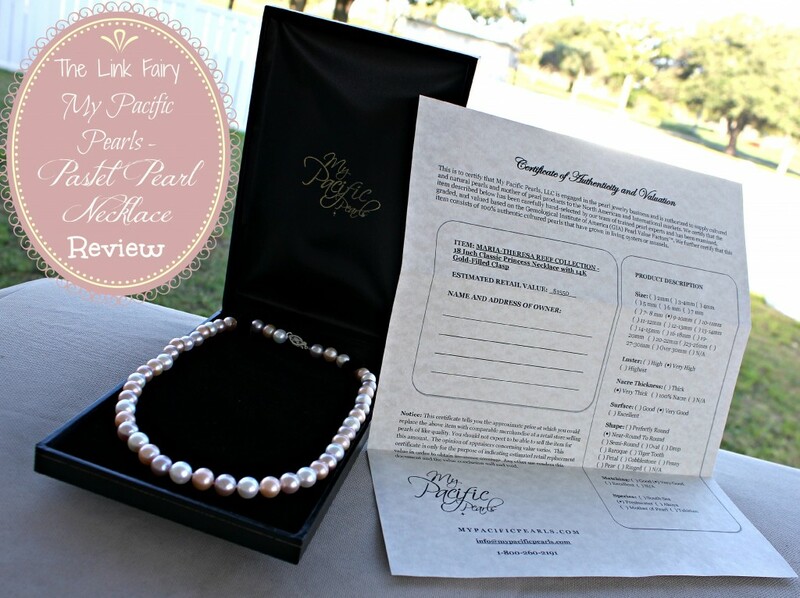 Each My Pacific Pearls product comes complete with a certificate of authenticity proving the validity of the pearls and metals included. 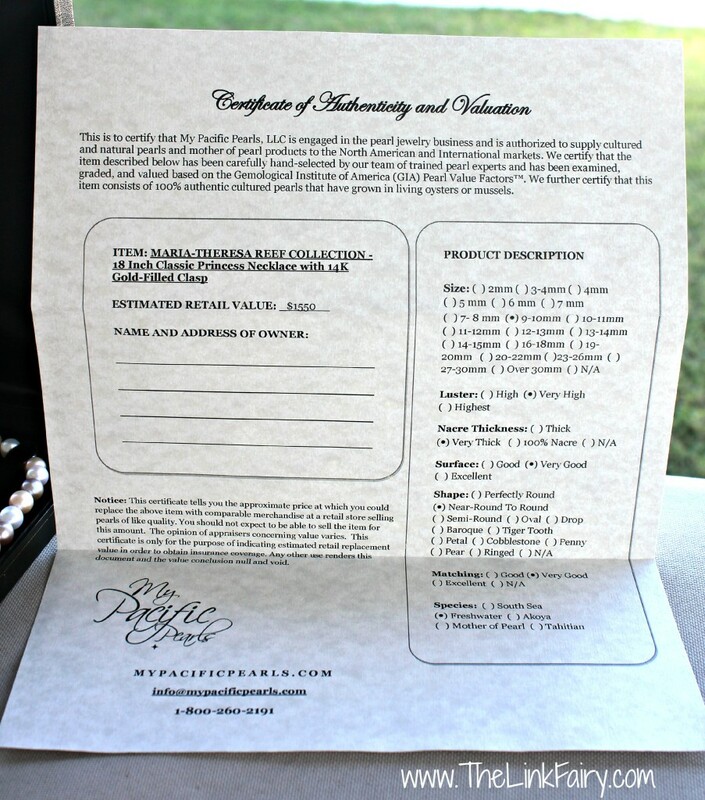 Each certificate goes in depth to describe the color and type of pearl as well as other important information. This is great for those who insure their jewelry. The certificate also includes some helpful tips on how to treat and care for your pearls, a good read for new pearl owners. When it comes to pearls, My Pacific Pearls knows their worth! 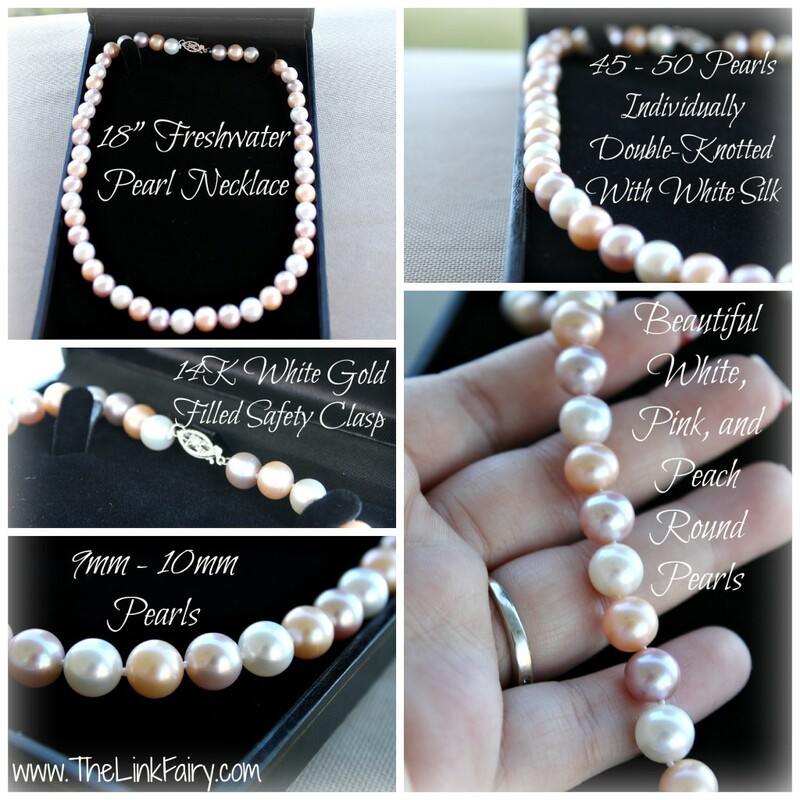 Their site is super easy to browse and they make looking for the perfect pearls a snap. I receive a compliment every where I go with my pearls and I love the way they compliment my skin and are easy to pair with any outfit. If you know someone with their heart set on something special this holiday, I highly suggest taking a look at My Pacific Pearls! Check out the amazing selection of pearl jewelry at My Pacific Pearls today! Be sure to follow My Pacific Pearls on facebook and twitter to stay up to date on the latest products and promotions! I got the earrings to review, and love them. This necklace looks really nice too. Thanks for the detailed review.